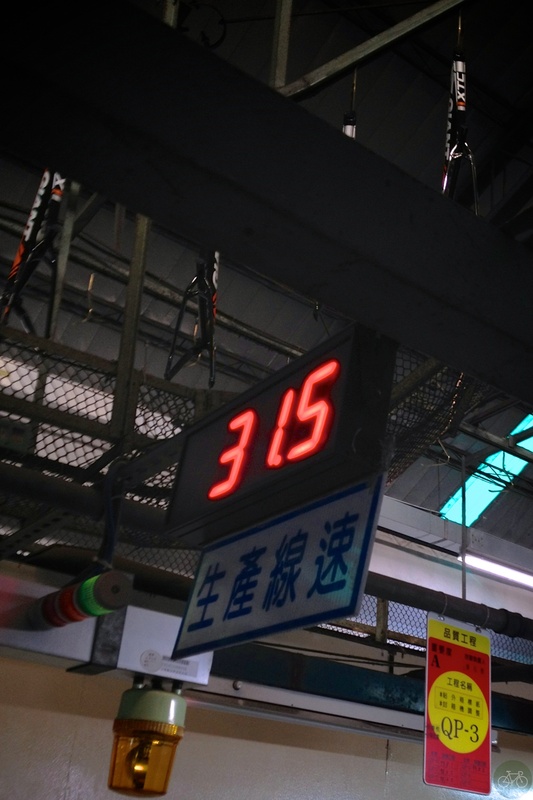 With productivity running at 96% in a sprawling factory outside of Taichung, Taiwan, Giant makes a bike every 31.5 seconds. All by hand too. Observed a worker that manually dials a serial number into a punch, and stamps it into a frame every 30 seconds. More on how bikes are made in follow-on posts with photos.